Stockholm is made up 14 islands as well as parts of the mainland. Each of these islands and districts have their own feel and ambiance and can be quite different from each other. The stately Östermalm, up-and-coming Kungsholmen, leafy Djurgården and the commercial district of Norrmalm are some examples. Södermalm, or just “Söder” (south in Swedish), is the largest of the islands. The feel here is laid-back, funky, bohemian and (dare I say) young. Famously the home of the city’s hipsters and with a large LGBT population, Södermalm has often been called Stockholm’s version of Brooklyn or Shoreditch. Most major cities in the world seem to have a district these days that they refer to as “our Brooklyn”. Stockholm was founded on the island of Gamla Stan. Södermalm however was one of the first islands to be populated when Stockholm started to grow. During the Industrial Age the population really grew and the area became home to mainly the working class. The gentrification of Södermalm started in the early 1900’s and soon the island became the home of Stockholm’s artists and new middle class. 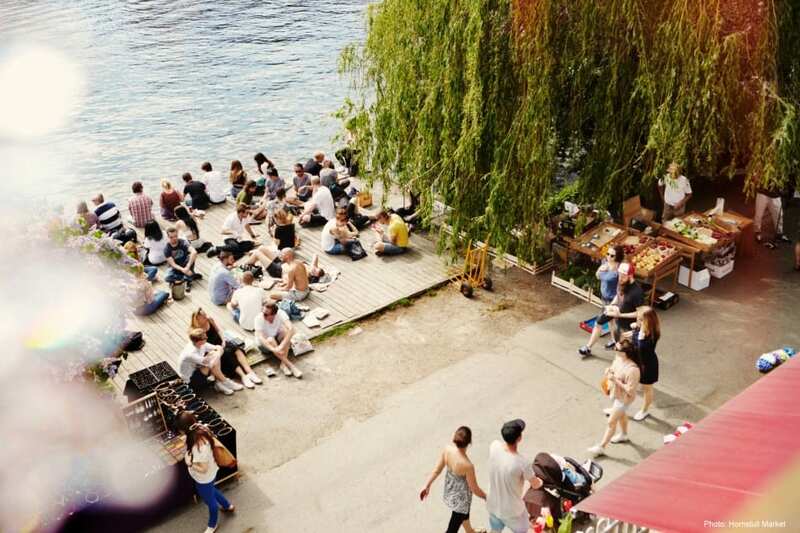 In the 1990’s the area’s hip factor rose exponentially and in 2014 Vogue Magazine named Södermalm as one of the 15 coolest neighborhoods in the world and the Financial Times named it as one the top destinations of the year. Södermalm also features greatly in the Stockholm edition of Travels by Adam’s popular Hipster Guide series. So what is all the fuss about? Södermalm does admittedly ooze a certain effortlessness. Beautiful 18th and 19th century architecture mixed with green areas, like the parks at Skinnarviksberget (with wonderful views of the city) or Vita bergen (popular with picnickers). The forested island of Långholmen, just adjacent to Södermalm, has some great beaches and places to rent kayaks in the summer. Feel like taking a jog? You can walk/jog/bike along the water for almost the entire coast of the island. The path is well marked and is 11 kilometers long if you run the whole length. Culture is also well represented in the area with examples being the museum of photography Fotografiska and theatres like Södra teatern and Folkoperan. I would venture to say that one of the main reasons for Södermalm’s popularity in later years is literary in nature. Stieg Larsson’s world famous Millennium series (i.e. “the Girl with the Dragon Tattoo”) takes place mostly on the streets of Södermalm. Larsson used real places in his books so today fans can actually visit Blomkvist’s apartment on Bellmansgatan or Lisbeth Salander’s favorite bar (Kvarnen). All near the Hotel Rival. There are actually themed Millennium walking tours available during the summer months. Probably the biggest reason for Södermalm’s popularity these days are the more trivial pursuits of shopping, food and drink. Södermalm is the go-to area in Stockholm to shop for funkier fashion and interior design with great stores like Grandpa, Papercut, Blås & Knåda,Efva Attling, Coctail Deluxe, Beyond Retro, Acne, Nitty Gritty and Cheap Monday. Most of them are located in the Mariatorget and SoFo(“south of Folkungagatan”) districts of Södermalm. Here you can also find a plethora of restaurants, bars and cafés. In some areas there is literally a café on every corner, all catering to a favorite Swedish pastime: fika. In fact, The Telegraph just named Johan & Nyströmone of the world’s best coffee shops. Some personal favorites when it comes to restaurants are Nook, WoodStockholm, Punk Royale,Linje 10, Paradiso, Urban Deli and Nytorget 6. But that is just the tip of the iceberg. There are restaurants that represent all budgets and even world cuisines. Maybe take a culinary adventure and visit the weekend flea market at Horntulls strand with their popular food trucks? 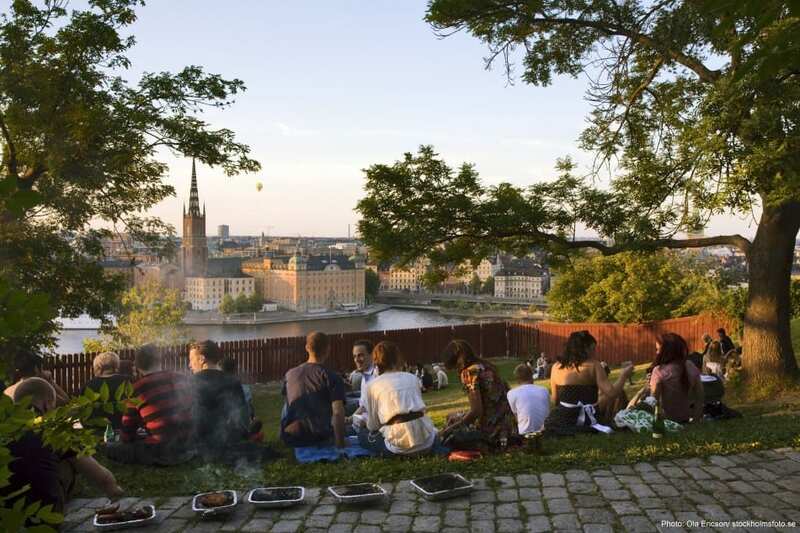 Or a walking food tour to really taste what Södermalm has to offer? Of course I would be remiss not to mention that the Hotel Rival also houses its own theatre, restaurant, bars and café. Like Södermalm in miniature! The hotel, located on the beautiful square Mariatorget and yet just a 10 minute walk from the historic Gamla Stan and ferries to Djurgården, is the perfect place to stay if you wish to both explore the main tourist sites as well as get a feel of the authentic vibe of Södermalm. So, what should you take away from this? 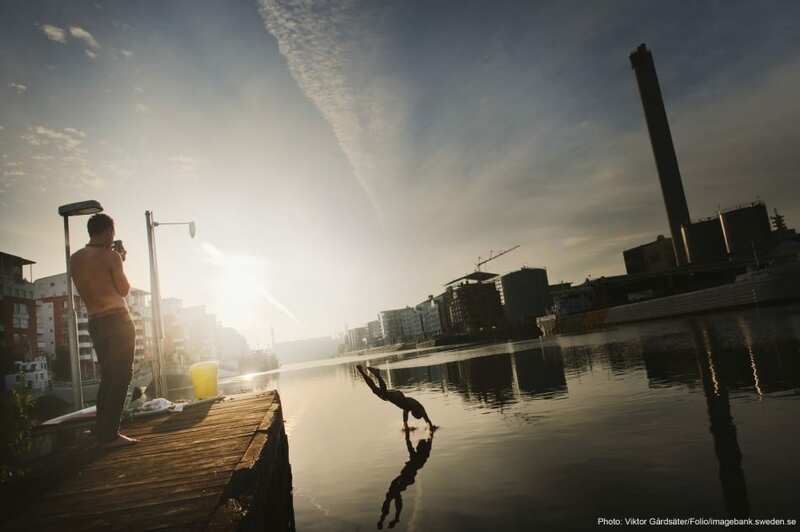 When you visit Stockholm this summer, make sure you take the time to visit Södermalm. Whether to shop, eat, drink, fika or just to stroll the streets and soak up the atmosphere of this most Stockholm of city districts. See you this summer! Author Bio: Sean Naughton works as the Concierge and Social Media Coordinator at the Hotel Rival. He is also a blogger and the author of The Stockholm Tourist. He extends a warm welcome to everyone coming to Stockholm for TBEX Europe 2016 and hopes you will take the time to visit the Hotel Rival’s neighborhood: Södermalm.